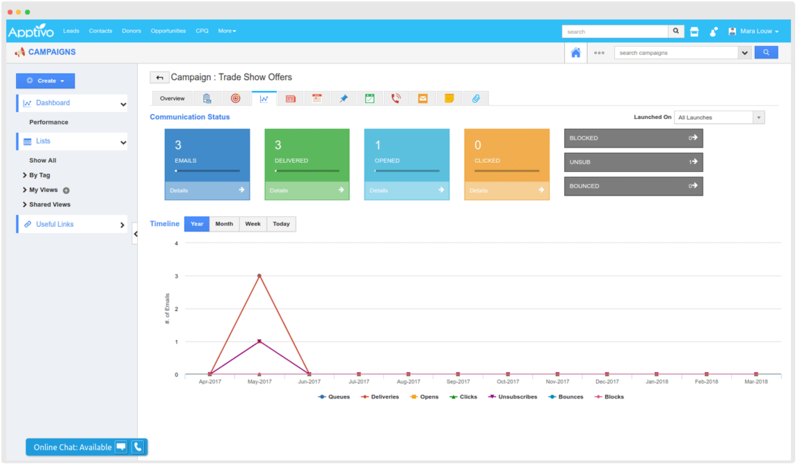 executing, tracking and analysis of marketing campaigns. 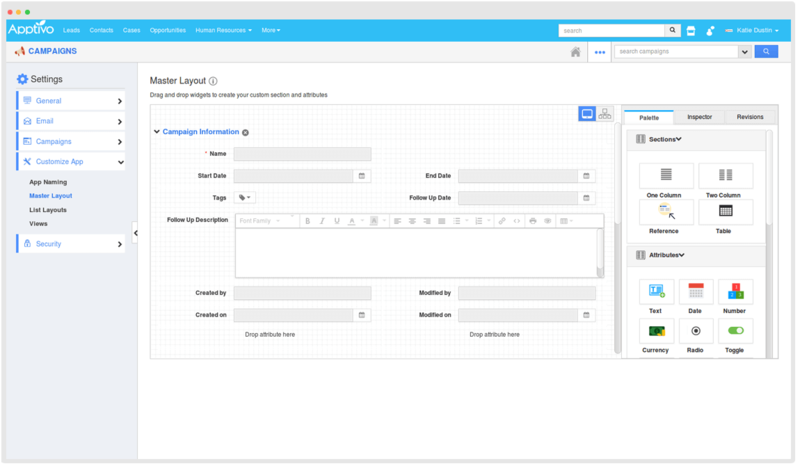 Create unlimited custom fields for your campaign needs without any restriction. 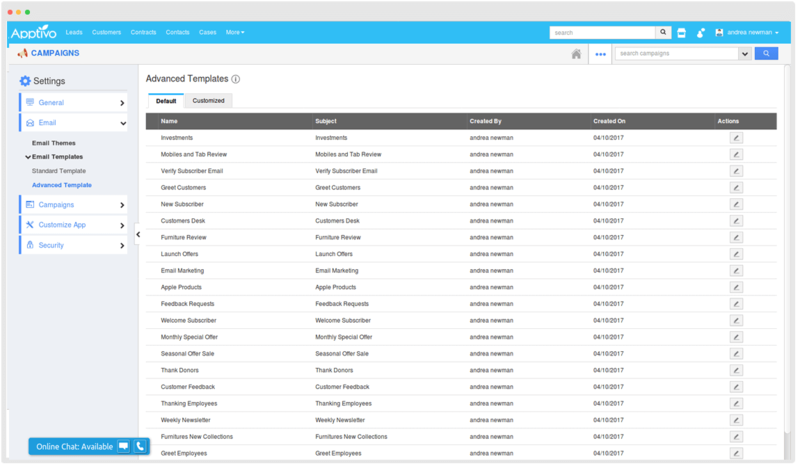 Create different lists for different that you want to run and perform targeted marketing. 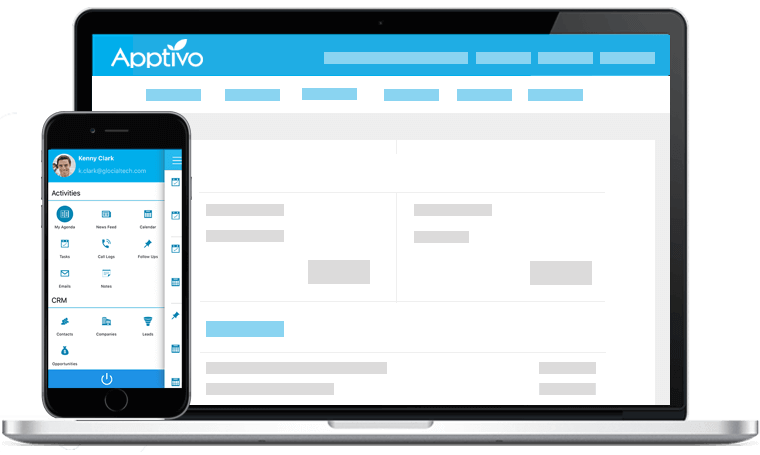 Email from Apptivo Campaigns are designed in such a way that email providers don’t recognize them as spam. 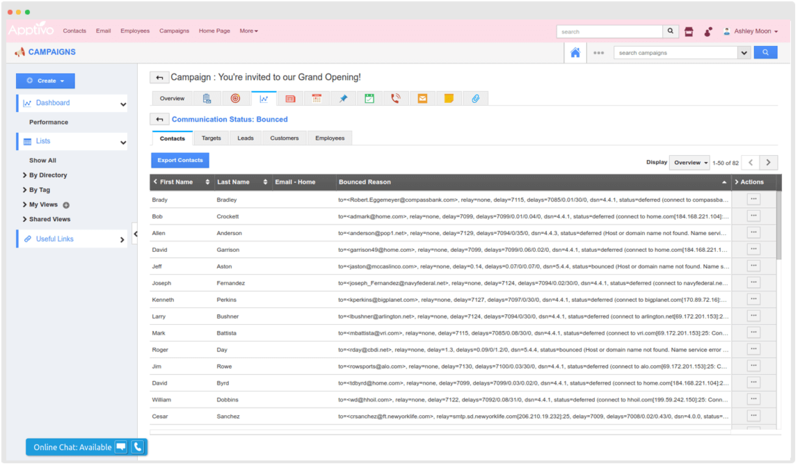 Send email campaigns using the “From address” of your choice. 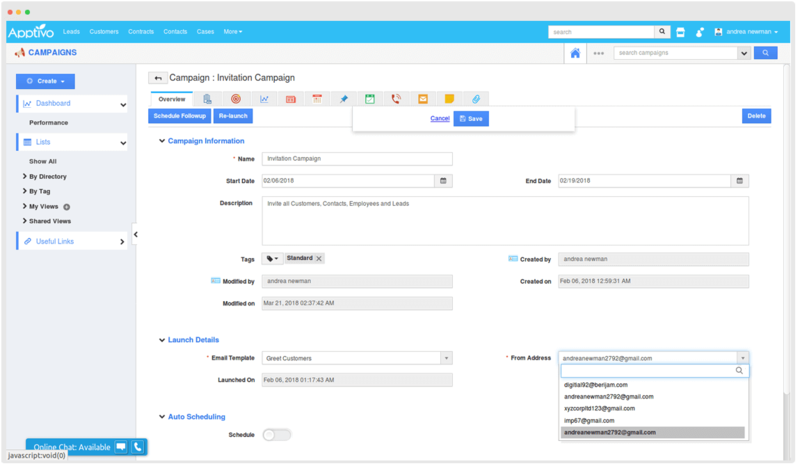 Relaunch a campaign that you’ve already run and don’t waste time creating the same campaigns again and again. 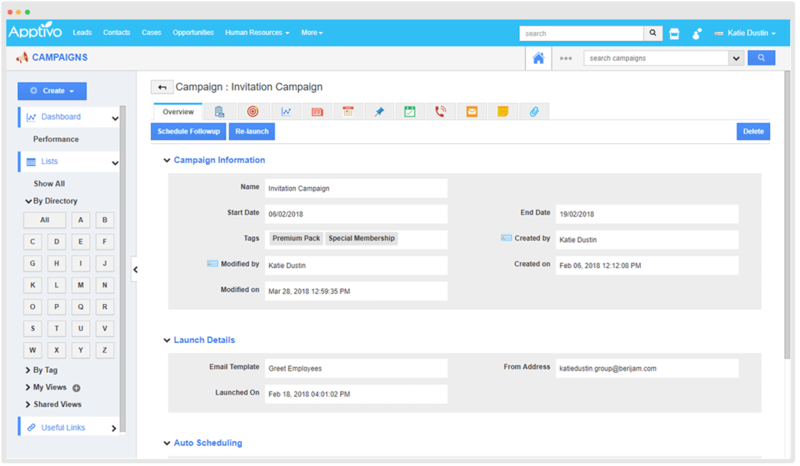 Design your campaign email using the intuitive drag and drop UI. 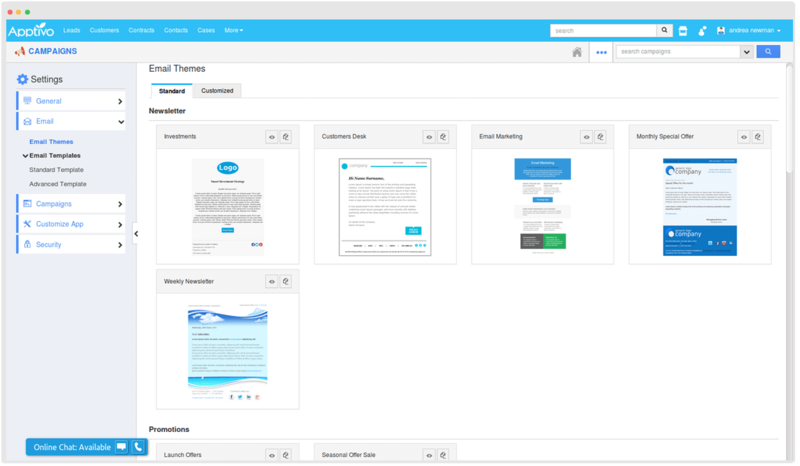 Design and send out that looks professional and informative easily. 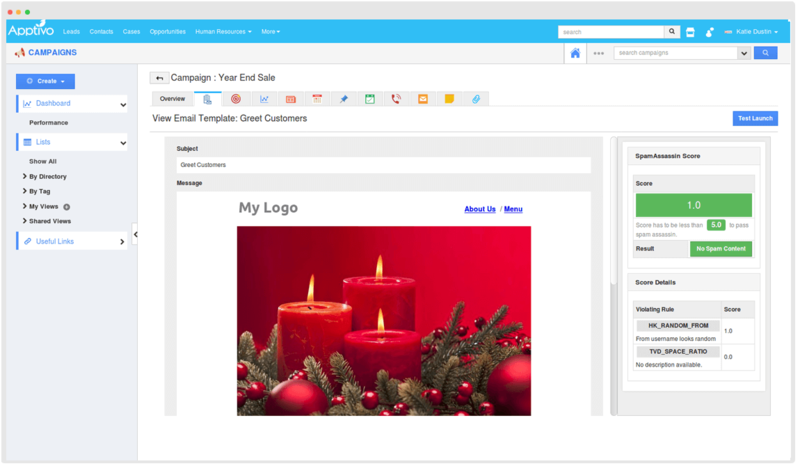 Send out email with options for customers to unsubscribe directly from the email. 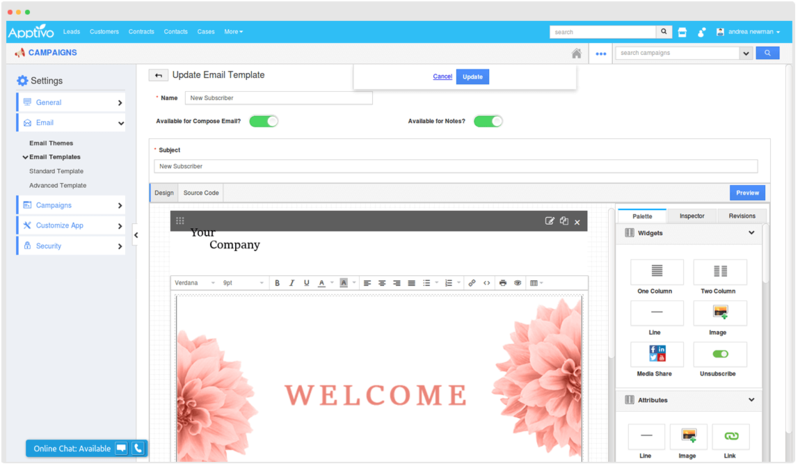 Create and save multiple email templates and use the one that is perfect for that particular campaign. 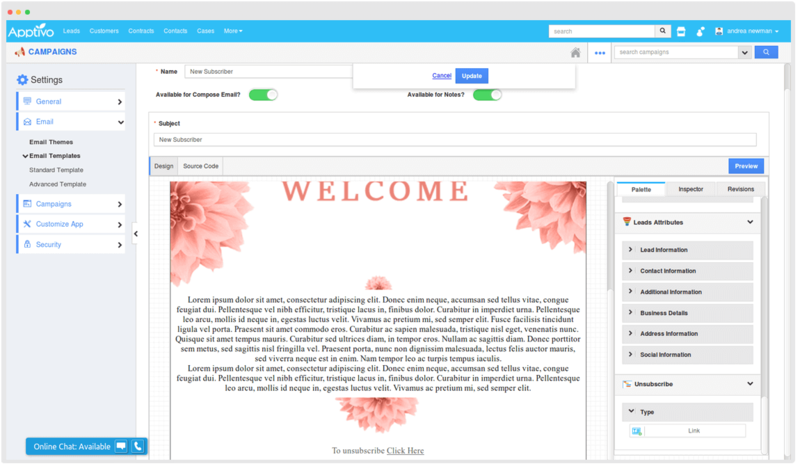 Design your template using html codes and not just using drag and drop UI. 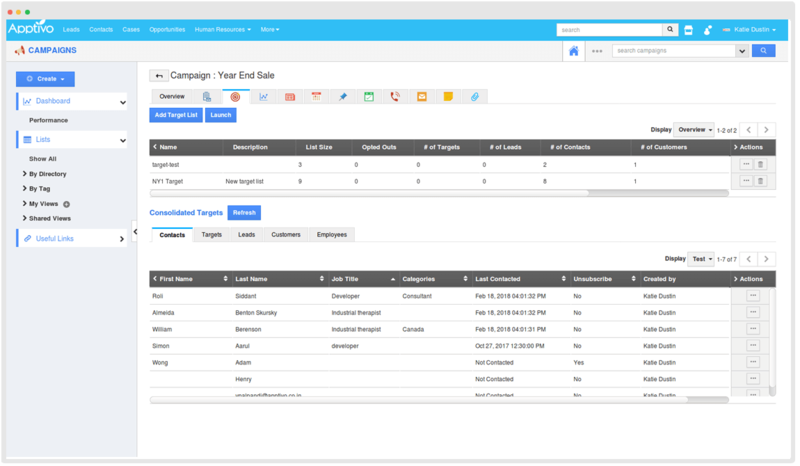 Track the status and progress of your email campaign directly from the dashboard. 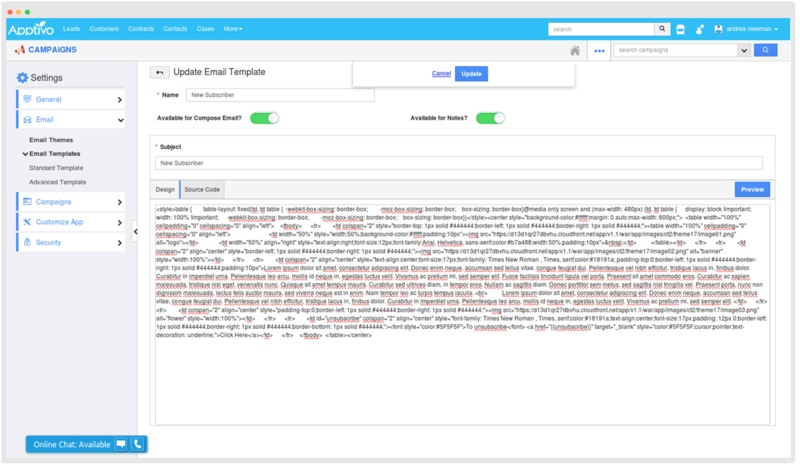 Get notified when an email is bounced back. 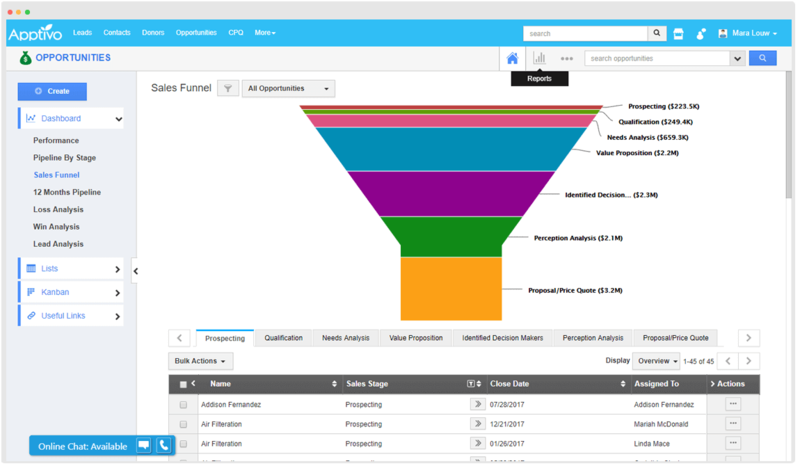 Track and view the open ratio of emails sent out using the Reports section. 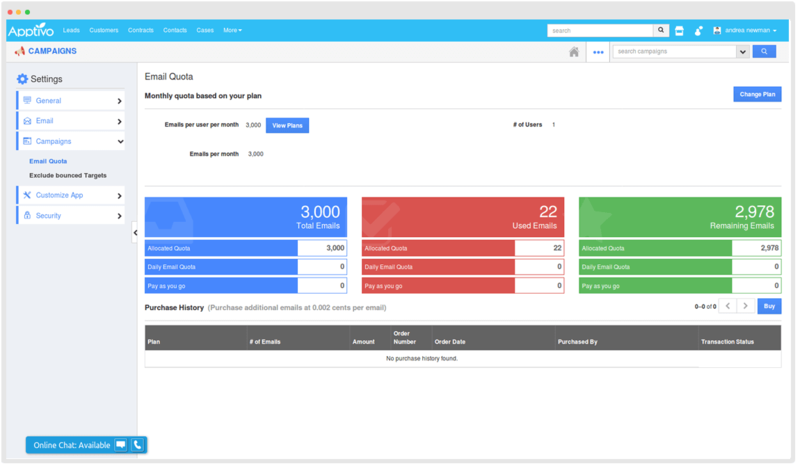 Compare and analyze the results of different campaigns and make better decisions. 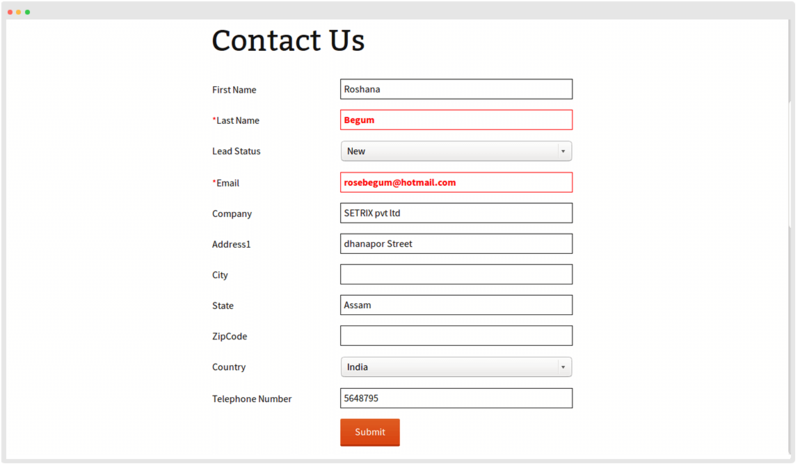 Direct create leads from web using forms, emails etc. 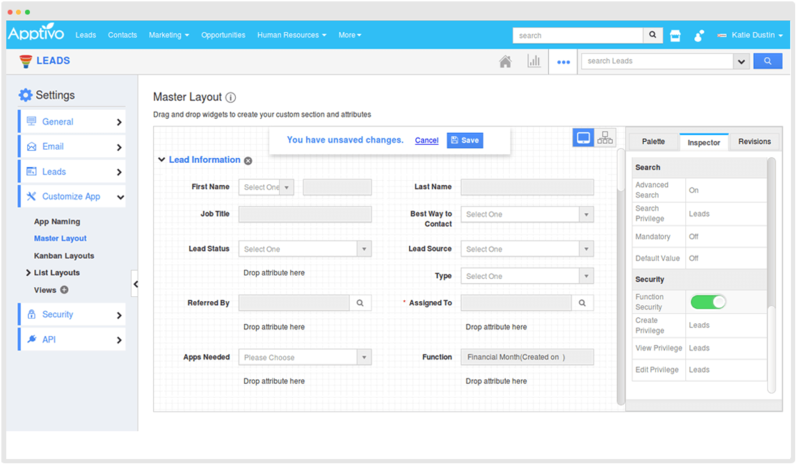 Create and manage leads and their pipeline easily using the built-in Leads app. 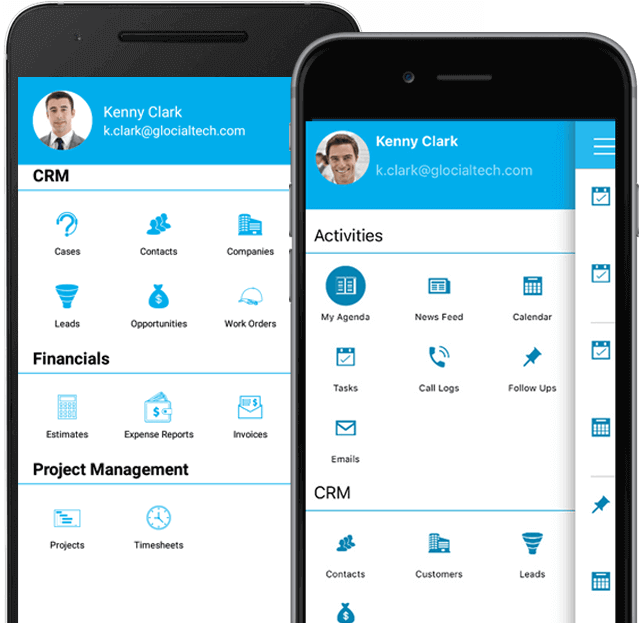 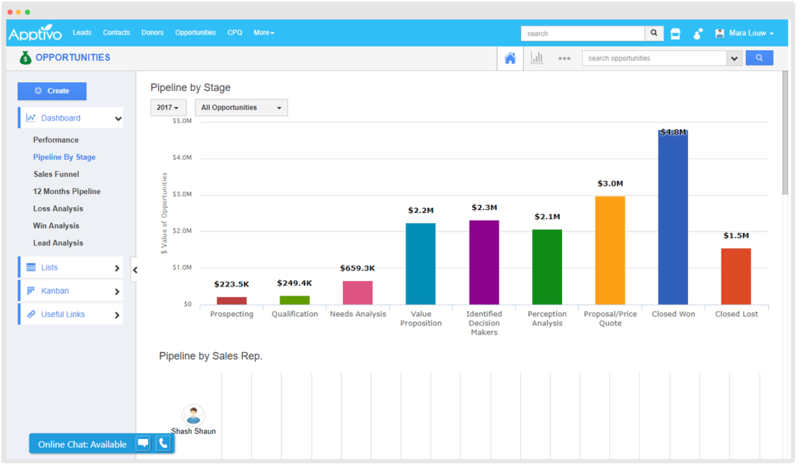 Manage your sales pipeline effective using the built-in Leads and Opportunities app. 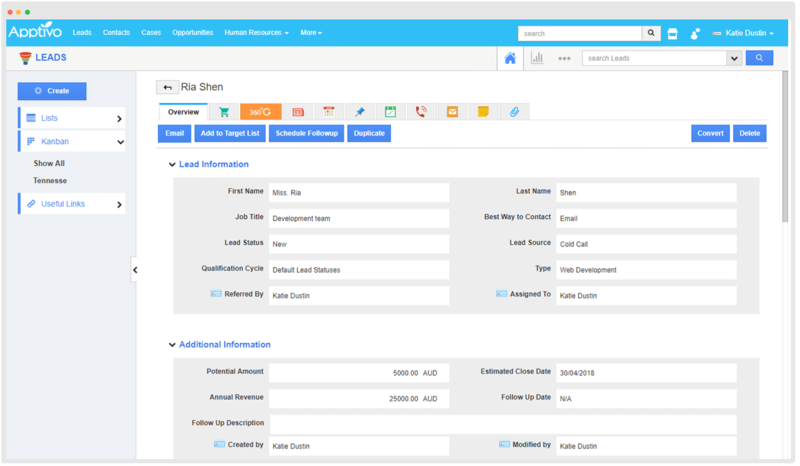 With built-in feature you can manage your sales people quota, change them, remove them, assign a new quota and more. 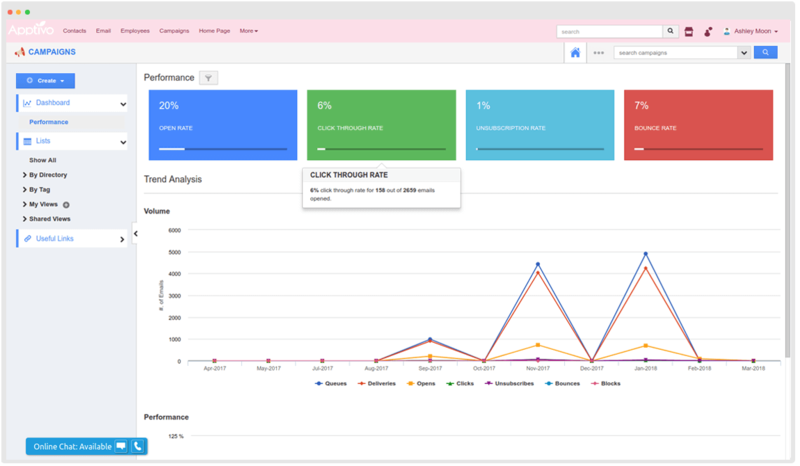 Generate different report for analyzing campaign results and get the performance overview of each campaigns from Dashboard directly. 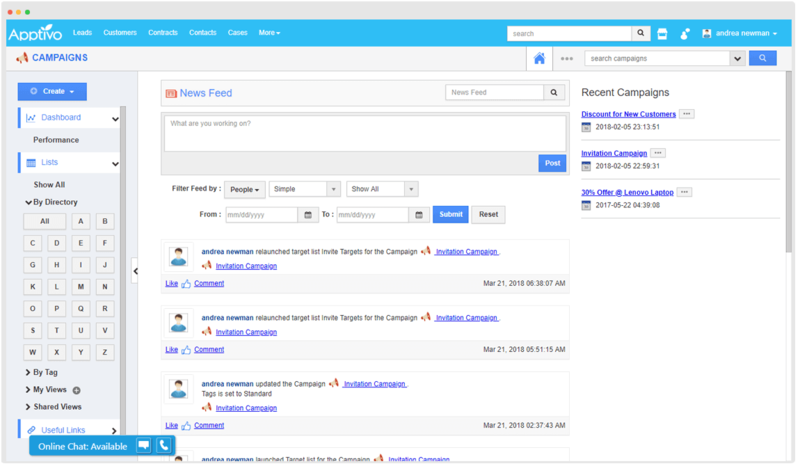 Get a glance at the activities that has been happening around the campaign using their News Feed section. 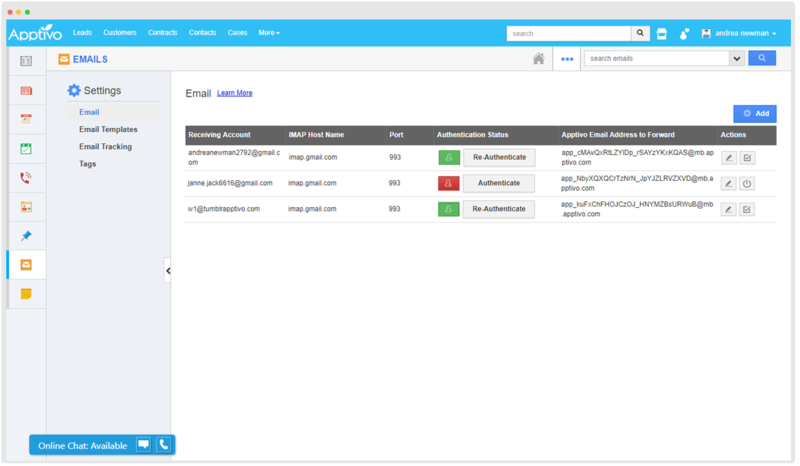 Sync your sent emails instantly between your Apptivo app and email email provider using IMAP integration. 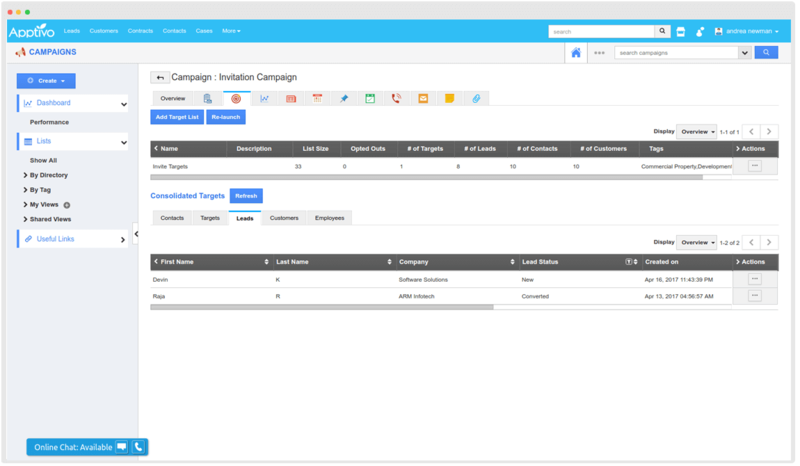 Not just running a campaign, run a report on the campaign that ran, compare different campaigns for better decision making, attach docs related to that campaigns and more. 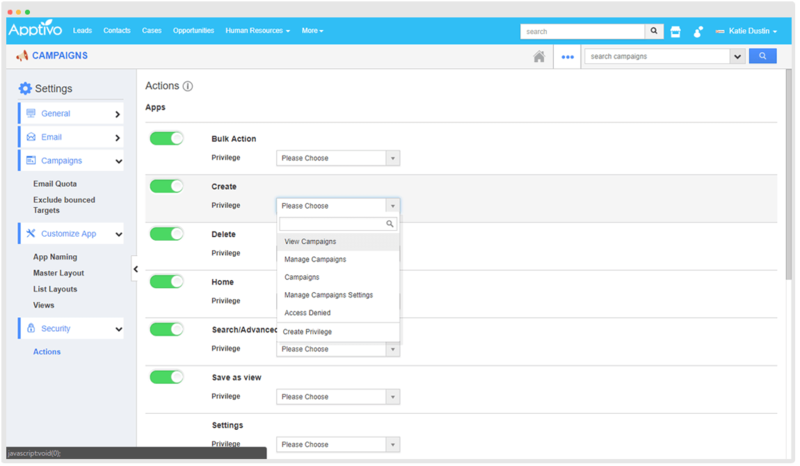 Control and manage who has access to create and run campaigns.